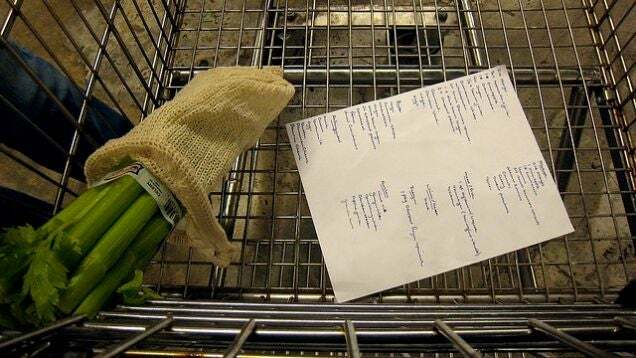 Shopping for groceries is one of those universal chores most of us could do better at. 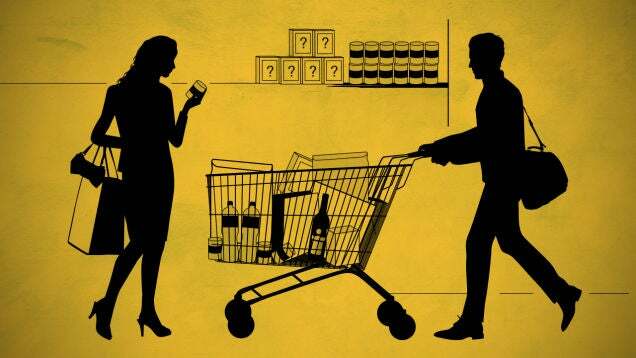 Here are ten common mistakes at the supermarket — and how to avoid them. Illustration by Brian Hagen. Photos by Taber Andrew Bain, Robert Couse-Baker, greggavedon.com, Bruce Turner,Allen, Michael Ocampo, lupuliuss (Shutterstock), hikingartist. All times aren't equal when it comes to shopping. Consider shopping late in the day when breads, meats, and other foods with limited shelf lives tend to be marked down. Major chains generally run their weekly sales from Wednesday to Tuesday, so if you want to be sure of picking up advertised specials, time your visit around that. 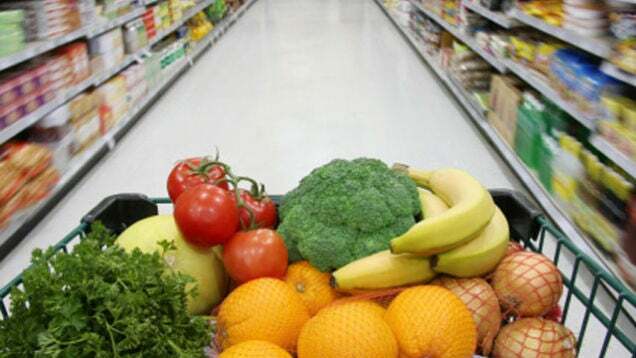 Most of us just want to get in and out of the supermarket with our bags of food. To do that as quickly as possible, we need a checkout strategy. The express lane, despite its name, might not be the fastest lane. Superstition-damned lane 13 or one of the lanes in the far left might be a better choice. Or do the maths and estimate how many items the people already in the line have in their basket. 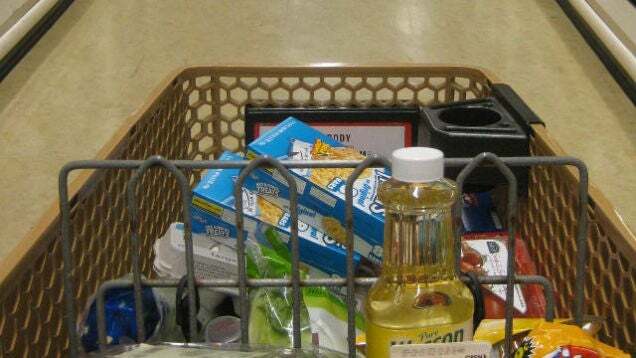 If you're doing self-checkout, do yourself a favour and just swipe items without looking for the barcode. It could save you precious time. 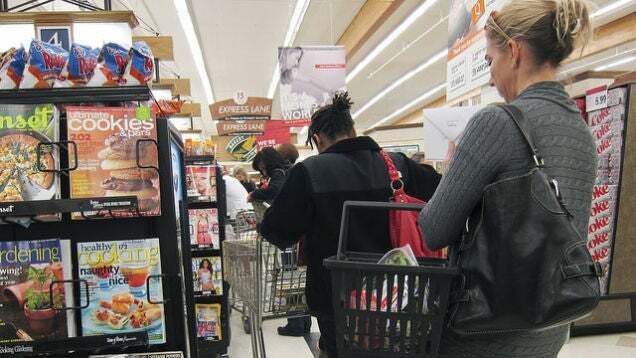 Like other retailers, grocery stores are set up to trick you into buying more than you need. Even if you don't fall for their marketing tricks, it's easy to grab too much, especially when things are on sale or something catches your eye (or nose — like the scent of fresh rotisserie chicken). Always shop with a list, and avoid buying in bulk if the items are perishable. Also, leave the kids at home. On the flip side, some of us occasionally buy too little food, forgetting stuff we need. Then we end up shopping last minute or, worse, just getting takeout. Again, always shop with a list. Stock up on pantry essentials and keep track of your inventory, perhaps with an app like Pantry or the old fashioned way with an actual written list in your pantry. When fruits and vegetables are in season, they're not only cheaper, they taste so much better and are healthier for you. If you buy locally, you also support your community. Focus your planning on what's in season and on special. As we've often noted, house brand items (the brands produced by the supermarket themselves) are generally cheaper than "brand name" equivalents, and often by a large margin. Whether that saving is worthwhile varies. Some house brand items are just as good as the pricier options; some definitely aren't — and that's a decision that varies from individual to individual. But writing off every single house brand product on principle will make your shopping more expensive — and there's no evidence yet that house brands are about to become your only choice. 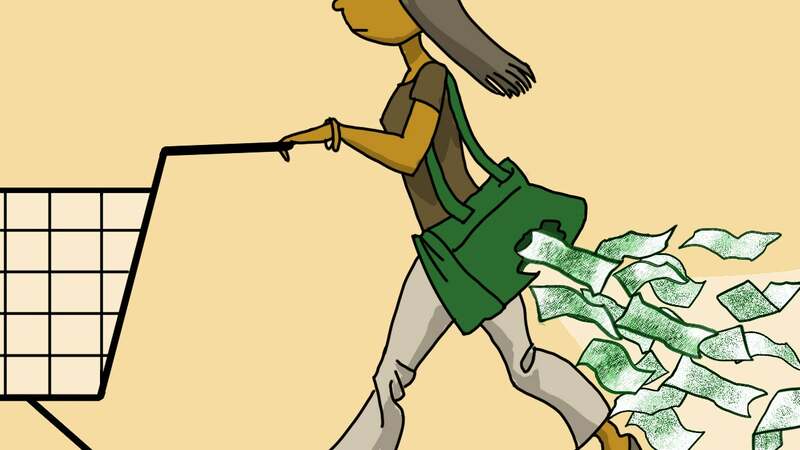 Buying only what you need for the week might sound like a frugal strategy, but as Kiplinger points out, when we do this we end up paying full price for the majority of what we put in our trolley. Although you don't want to buy too much food (see #8), if you have room in your freezer or pantry, stock up on the items you know you will always use when they go on sale. Use freezer cooking to prep meals for later in the week or month and use up your stocked-up supplies. 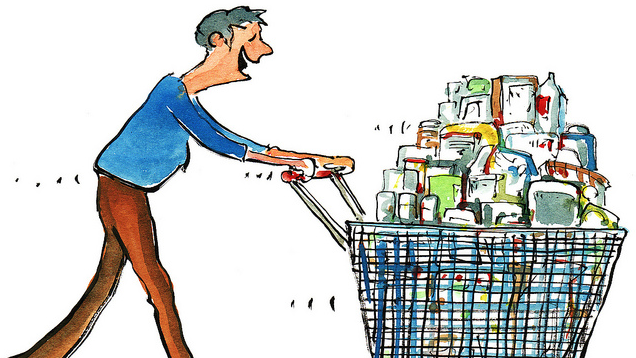 Even when groceries are on sale, how do you know they're a good buy and you should stock up? A price book. Keep tabs on the prices of items you regularly buy at different stores and you'll never fall for a "fake" sale again. And make sure you use unit pricing when comparing (and that the units are the same). You've heard this before, but it bears repeating: Do your grocery shopping on a full stomach. 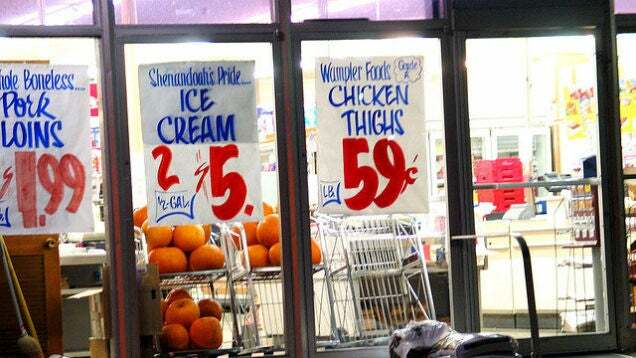 Otherwise, everything in the store might be too tempting. So fill up first. In short, you need a plan when shopping. Perhaps the most important plan is your meal plan, which solves several of these common mistakes. Here's how to get started planning your weekly meals.